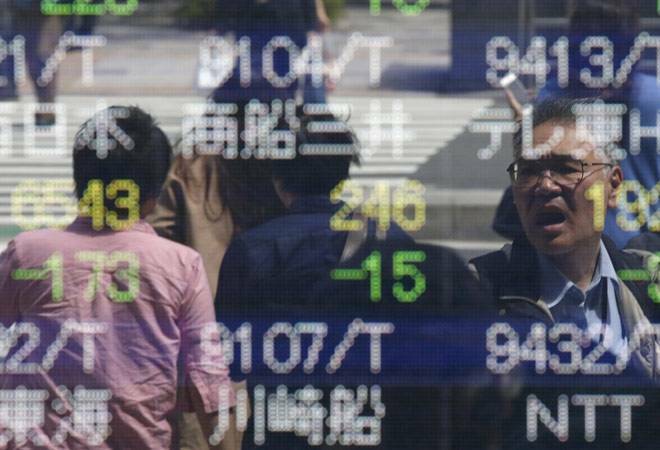 The stock market this week will be guided by the next set of corporate earnings, macroeconomic data and French elections result, say experts. "Ongoing earnings season will see stock specific volatility as stocks adjust to their earnings reality," said Vijay Singhania, Founder-Director, Trade Smart Online. Some of the major companies to announce their corporate results this week are: Bharti Airtel, Hero MotoCorp, Asian Paints, HCL Technologies and Dr Reddys Laboratories. "The outcome of French elections and the next batch of corporate earnings will dictate market sentiment this week," he added. On the macroeconomic front, industrial production data for March will be announced after market hours on Friday. April inflation data based on consumer price index (CPI) will also be announced the same day. "Going ahead, the remaining quarterly results will be watched carefully to confirm expectations of growth returning back to the economy," said Dipen Shah, Sr Vice President - PCG Research, Kotak Securities Limited. Phase II of the French elections will also be watched closely, he added. "Several macroeconomic data are expected to come like inflation and IIP... A lot of index heavyweights like Bharti Airtel are lined up with quarterly earnings. We believe the Street will be tuned in to watch their earnings performance. Since, this week is loaded with several events, we cant rule out volatility," said Abnish Kumar Sudhanshu, Director & Research Head, Amrapali Aadya Trading & Investments. "... the outcome of French elections and CPI inflation and IIP data will be the key data to watch for," said Vinod Nair, Head of Research, Geojit Financial Services. Over the past week, both indices -- the Sensex and the Nifty -- logged losses of 59.60 points and 18.75 points, respectively.